Based on the crowd we found in this gem of a neighborhood in New Orleans, we aren’t the only ones that love Frenchman St.
New Orleans is one of those cities that can be what ever it is you want it to be: foodie town, crazy Vegas-like Bourbon Street, architecture and history, art lovers, who dat sports fans, and Music with a capital “M”. New Orleans has it all. The Music on Frenchman St. will keep us coming back to New Orleans. In this little three-block section in the Faubourg Marigny neighborhood, you’ll find a club that is serving up just the right music for your interests. 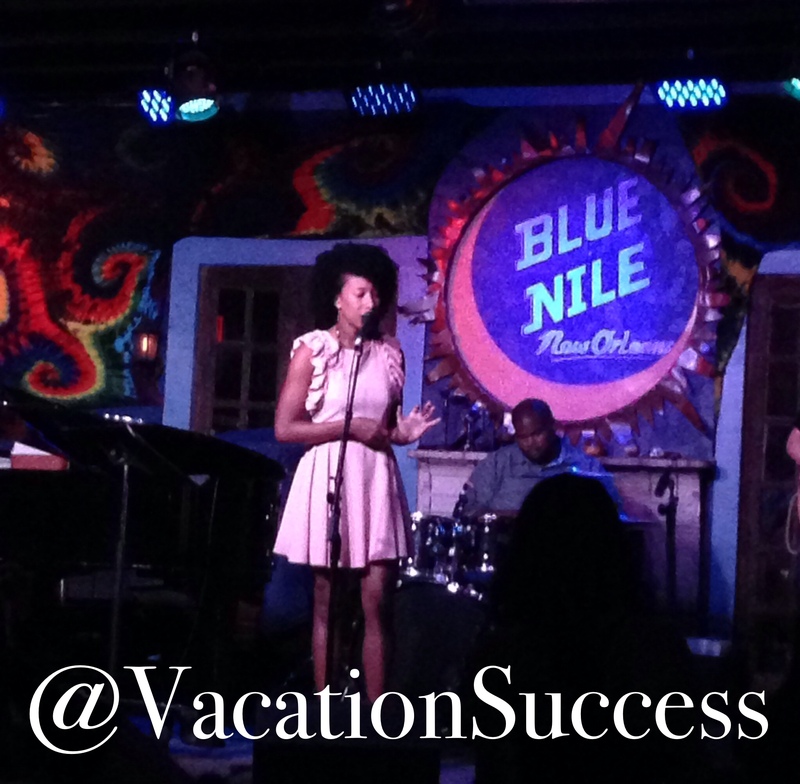 On our last visit to the city, we spent two nights wandering Frenchman Street. In addition to great music and dance floor, dba has an extensive craft beer selection. Great place to start your evening. It has a low-key atmosphere, focused on the music. New Orleans jazz plays here twice nightly. Listen to a set here before wandering down to Blue Nile or Vaso. Lively crowd, no matter the music. The blue neon lights set a chill mood. Here, its all about the music. Enjoy! As you stroll from club to club, check out Frenchman Art Market. How many outdoor markets let you shop until 1 a.m.
What’s your favorite Frenchman St club? Add to our list by leaving a comment below. Love eating in New Orleans? So do we, check out our favorites. Add to our Must See Art in NOLA post.